Say goodbye to summer rose’, lounging on the beach and those lazy afternoons. 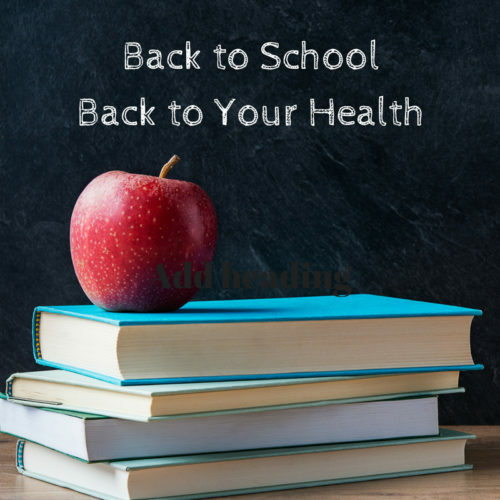 It’s back-to-school, and with it comes homework, countless sports activities, school projects and so much more. In a society where packed schedules for both parent and child is the norm and free time is the segue to guilt, it’s no wonder our personal health has taken a back seat (third row back seat). In fact, two-thirds of consumers say they’ve delayed seeking care for a health problem largely due to lack of time. Let’s face it, most people can’t justify missing an important meeting or a child’s soccer game to sit in a waiting room; some consider going to the doctor to check on a random symptom, a waste of time. Then there’s the issue of logistics: How will you get there? What are the office hours? Who will watch your kids? So how can we get quality health care that is in sync with our busy lifestyle? Dr. Luciano just might have the answer. As a father and a husband, Dr. Luciano understands the demands of raising a family in an active household. His goal is to unite exceptional health care and service with flexibility and convenience. By offering Concierge Family Medicine, Dr. Luciano is able to treat his patients on a more personal level. They have the comfort of calling him directly or texting their medical concerns, offering unlimited access to professional medical advice. That’s right – no more waiting on hold for fifteen minutes to reach the nurse’s voicemail. Dr. Luciano is dedicated to keeping his list of patients small in order to ensure personal attention and care, allowing for the same day or next day office appointments. When you do come into the office for a visit, you can expect a short waiting period and to be greeted by the friendly staff. In an effort to offer patients enough time to pose questions or concerns and review results, Dr. Luciano allocates one-hour per office visit – of course, patients can forgo the office visit in exchange for a video call on Skype – perfect for travelers. As a patient of Dr. Luciano’s Concierge Family Medicine, all scheduling of appointments for outpatient testing or with a specialist is handled by a qualified team member, making it easier for patients to follow through with recommended tests and procedures. Concierge Family Medicine offers all kinds of new services. This non-traditional format continues to change the course of quality health care. Quite frankly – it’s never been this easy! Learn more about the benefits of being a patient or if you’d like to inquire more about Dr. Luciano’s Concierge Family Medicine services call today at (215) 515-8242 or browse our website.